This made me look at my own holdings. Recently, I added a dozen examples of stamps printed on both sides of the paper - these were in the Peter Ashford collection. I was not very interested in them. But when I scanned them, I noticed a surprising feature: all the stamps printed on both sides are from very early states of the lithographic printing plate. You can see this if you enlarge the image above - the Both Sides stamps are on the left. The designs are sharp and clean. The stamps are on thin ungummed paper. 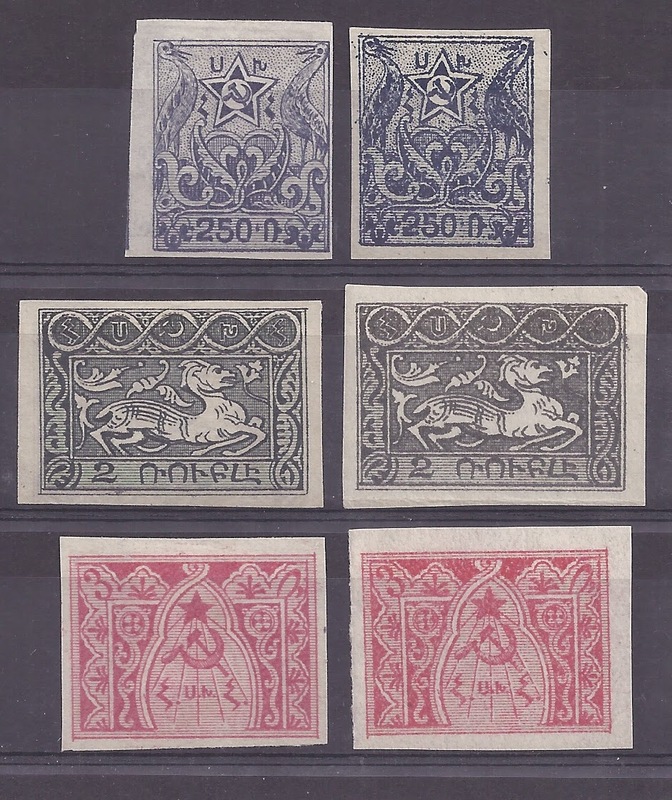 There are two possibilities: these stamps are Makulatur produced by Yessayan for the stamp trade; or they are Trial prints which economise on paper by using both sides.